Applicant Central® automates and simplifies the recruiting, qualifying and hiring of great staff: certified, non-certified, administrators, bus drivers, parapros, and any other! Applicant Central® combines recruiting, qualifying and hiring into an automated and seamless process. Candidates search for job postings in your district, complete on-line applications, upload their resumes, transcripts, certificates, and other documents. And since you can communicate instantly via email, you'll spend less time answering telephone questions. With Applicant Central® you'll save hours of valuable staff time. Applicant Central® reduces numerous costly paper trails. Your staff will be able to search for qualified candidates quickly and easily through the automation that Applicant Central® provides. 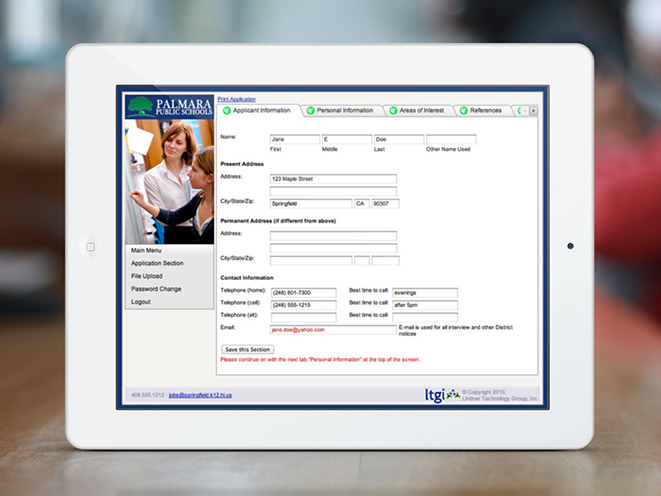 It allows your staff to save time and money by filling positions quickly and efficiently. Applicant Central® automatically creates an electronic resume database of qualified applicants that is exclusive to your district. This database can be accessed at any time, and from any location—even from home. You can search for candidates by certificate, job preference, and other criteria in a matter of minutes. In addition, you determine how long resumes remain in the database. No new username or password to remember! Most of our products can use your existing Microsoft® Network's Active Directory usernames and passwords. We specialize in the unique needs of K-12 districts. Our products are fully customizable to your preferences—colors, logos, text and data fields. Our products are very user-friendly, but training is always available. And, of course onsite, telephone, and remote support are always available too. Our products can either be installed in your district, on your server, or we can host the application for you. They're browser-based so you just need a standard Internet browser to them—inside the District—or at home. They're built on industry-standard products, including Microsoft® Windows operating system, Microsoft Internet Information Server (IIS), and Microsoft-SQL Server database. And we work with you and your IT staff to integrate it into your existing website & network, so the installation is fast and easy. We offer a one-time license fee as well as Annual Software Support and Maintenance service to ensure that you receive support, new features, and updates. Before Applicant Central®, we needed a full-time staff person to handle just the application process. Now we handle position fulfillment AND other pressing projects that have been on hold. 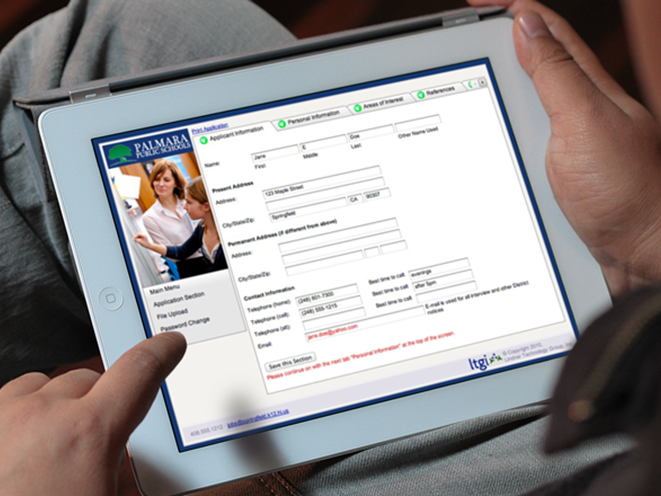 We've been working exclusively with technology-aggressive school districts and higher education since 2001. We love to share the success that others have had–and how they did it–and how they avoided major pitfalls. Serving K-12 School Districts and Higher Education since 2001. Copyright © 2019 LTGI.net. All Rights Reserved.